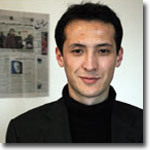 Alisher Saipov, a 26-year-old independent editor, was brutally silenced on October 24, 2007. An unidentified killer fired at him three times, using a Makarov pistol, in his hometown of Osh, Kyrgyzstan. An ethnic Uzbek, Saipov was a fierce and outspoken critic of authoritarian Uzbek President Islam Karimov. As the founder and editor of the popular weekly Siyosat, which covered Central Asian politics with a focus on Uzbekistan, he was openly critical of Karimov's policies and his regime's brutal crackdown on human rights. In the absence of an independent press in Uzbekistan, Saipov's paper was gaining popularity across the border; Uzbek businessmen smuggled it out of Kyrgystan on their trips to the neighboring country. Saipov also contributed reporting to international broadcasters such as Voice of America and Radio Free Europe/Radio Liberty, the London-based Institute for War and Peace Reporting, and regional news Web sites such as Ferghana and Uznews. After the murder, Kyrgyz authorities made ardent pledges to bring Saipov's killers to justice. Promises came from the highest of offices--the administration of President Kurmanbek Bakiyev, Interior Minister Moldomusa Kongantiyev, and Kyrgyz Ambassador to the United States Zamira Sydykova, to name a few. In a meeting with CPJ days after the killing, Sydykova personally vouched for the Kyrgyz government's "full commitment" in investigating every lead. Yet, today such promises all but hang in the air, lacking the single most important element--political will to solve the crime. To this day, investigators have not told Avaz Saipov who killed his son, and the slain journalist's colleagues can only guess as to a motive. Moreover, authorities do not update the Saipovs of progress in the investigation and the family must repeatedly approach them for information. Kyrgyz police shelved the case at least twice this year, both times shortly after high-ranking police officers pledged to finish the probe. Each time it took an international outcry--including by CPJ--to re-open the investigation. Contradictory behavior by Kyrgyz authorities--particularly promises of commitment followed by secret closures of the case--led Saipov's frustrated father to send a sharply critical public letter to Bakiyev in May; he received no response. In fact, since midyear, the family has had no communication with authorities; it is unclear who is currently in charge of the probe, Avaz Saipov told CPJ. Kyrgyz authorities have also failed to respond to repeated CPJ requests for updated information about progress in the investigation. In the most recent attempt, in September, CPJ tried to fax an inquiry to the Interior Ministry--in return we got an automated response from Bishkek saying that the transmission had failed due to an unpaid phone bill. It is puzzling that the case is gathering dust after what appeared to be a good start. Ten months ago, a high-ranking police officer announced that the murder weapon had been traced; bullet casings had been recovered from the crime scene; and the investigation had a photo of two men suspected in killing Saipov. There was also a witness to the murder--Saipov's colleague Ikbol Mirsayitov. Yet, none of these clues have resulted in progress: the gun, though traced, was never recovered; the photo of the alleged suspects was never posted on the Interior Ministry's online database; and there was no follow-up with Mirsayitov. In fact, after Mirsayitov was detained for questioning, he disappeared from the public eye and stopped responding to phone calls, CPJ sources said. Currently, Mirsayitov's whereabouts are unknown and the investigation is silent about the results of his questioning. As the sole immediate witness to the crime, Mirsayitov could help identify the triggerman and steer the probe in the right direction. Now, authorities say they are fresh out of leads. In February, Interior Ministry spokesman Olzhobai Kazabayev told local journalists that the investigation had been halted "because the two suspected individuals had not been captured" and no other evidence had emerged. An official with the presidential office told CPJ the same month that the investigators' inability to identify the two alleged perpetrators had compelled them to suspend the case. Solving the contract-style murder of Alisher Saipov is a litmus test for Bakiyev's administration. He came to power in 2005 with the promise of democratic reform and rule of law. The smear of impunity casts doubt on that commitment, shaking the public's trust in the government's ability to protect its citizens. Kyrgyz authorities should work to restore that trust by mounting a transparent and effective investigation into Saipov's murder. They owe this to Avaz Saipov and all of us who remember Alisher for his courageous journalism. Alisher Saipov's assassination: Let's face the truth! Are Kyrgyz security structures out to pin the blame for Alisher Saipov's assassination on Hizb-ut-Takhrir? Who ordered Alisher Saipov's assassination?